🎵 I’ll be home for Christmas…you can count on me… 🎵 That is, you can count on me to be prepared with the best holiday outfits for my trip back home during the most wonderful time of the year. 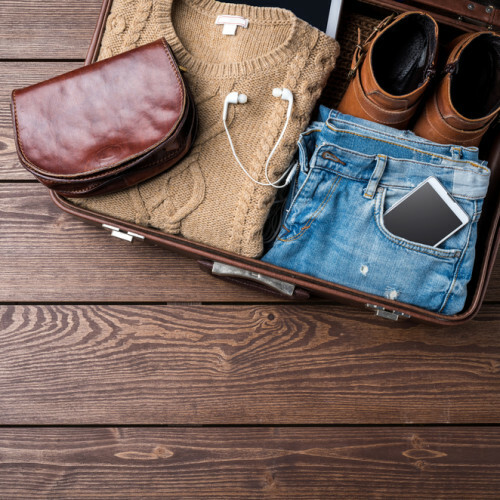 Wherever you may be traveling for the holidays, you’ll likely need to pack for a plethora of occasions – from holiday dinners and lounging with the family, to catching up with old friends over cocktails. The holidays are stressful enough without having to worry about what to wear, so I’m coming to the rescue with a few packing tips to make sure you bring the perfect winter outfits for your trip back home. For some last minute holiday shopping or a casual outing with old friends, you’ll want to be sure to pack pieces that will keep you cozy and still look put together. Try a classic striped sweater with relaxed denim and some fun patterned flats. Bring a beanie (I personally LOVE the ones with the oversized pom-poms) to keep you warm when you’re getting in and out of the car. For some added glam, finish your look with some statement jewellery to kick your casual outfit up a notch. Sitting by the fire, playing board games, or going for a stroll to walk-off the post-holiday dinner food coma calls for comfortable athleisure pieces. Sneak little details into your ensemble with tie front pieces or strappy back bras. Don’t forget to pack sneakers made for lots of steps. Whether your layover is at the other side of the airport, or you’re getting out to stretch your legs at a rest stop, traveling can keep you on your toes! Despite the overwhelming cozy and comfy connotations with the holidays, there’s a time and place for dressier outfits, too. When you’re planning to participate in some dressier occasions like a night out to dinner or cocktail hour with friends, you’ll want to dress to impress (without compromising comfort, of course). 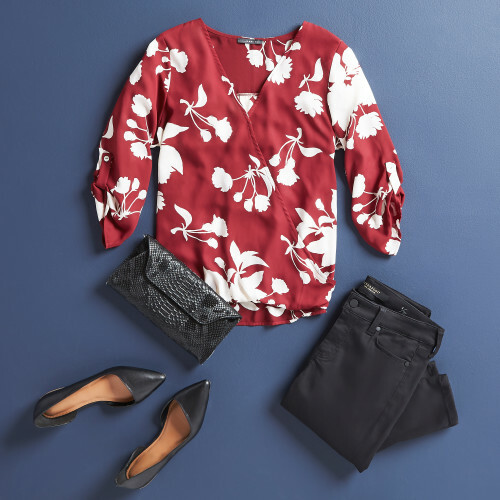 Black skinny jeans, a blouse in a holiday hue, and fancy flats are the perfect combination to ‘wow’ without the risk of overdressing.